Surprise! Petite Purls Back to Basics! I told you! 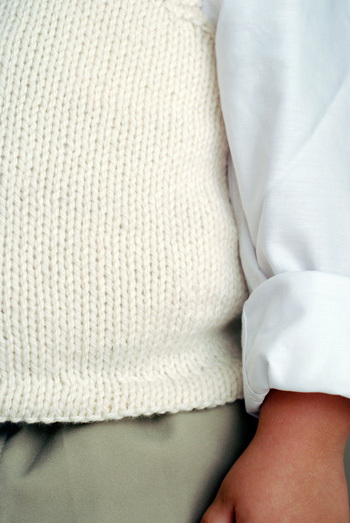 As soon as I put up a post, I knew the Petite Purls Back to Basics pattern would go live! I am so excited to present this pattern to you. The Back to Basics pattern line on Petite Purls is meant to present you with basic patterns for beginners or blank canvases for you to get creative with. My pattern is for a Sleeveless Top. 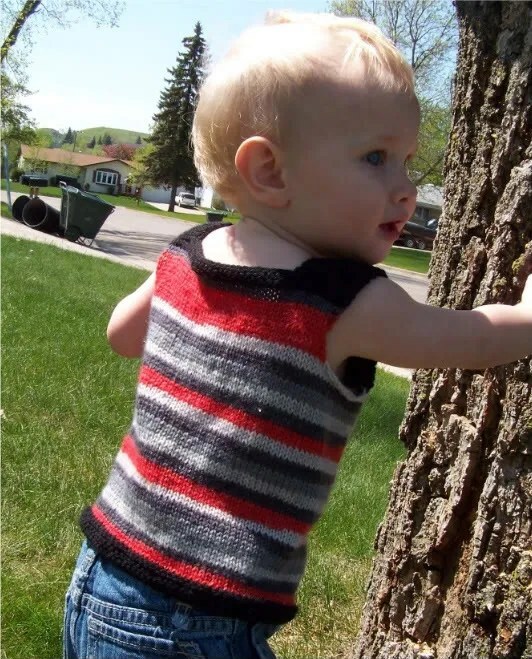 This is knit up in the fabulous Spud and Chloe Sweater. I love, love, love Spud and Chloe Sweater. Just think, at the beginning of the year, I hadn’t even tried it. Now, I’ve designed three patterns in it! 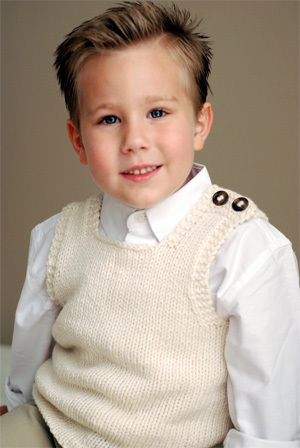 Isn’t the model adorable? 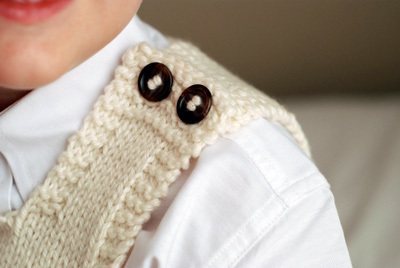 This pattern offers a button band on one side to make it easier to get on your little one! 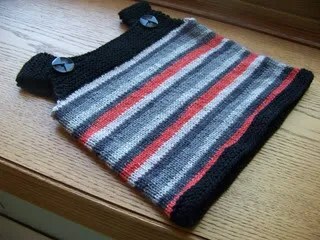 There are instructions for an optional side purl stripe, as well. There are many ways to customize it. You can choose different colors. You could add stripes or a cable. 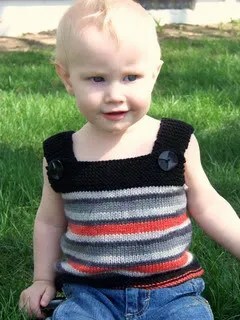 I am planning on knitting one up for my 15 month old. I am thinking about adding a cable down the front. Or maybe I’ll stripe it in some fun colors. This garment is quite versatile too. 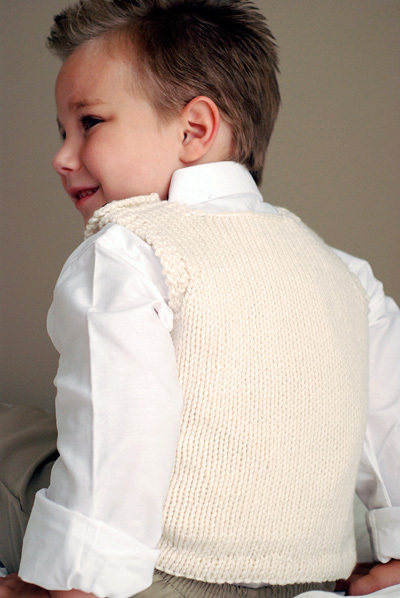 You can layer it, as shown, or in warmer months you could just have your little one wear it as a tank top. Spud and Chloe is wool cotton so it breathes wonderfully. The hemmed bottom edge gives it a very clean look. These are great pictures. I can only aspire to do as well someday. Brandy Fortune of Petite Purls did the photo shoot and what a fantastic job she did. Well, there you go! That was one of my surprises!